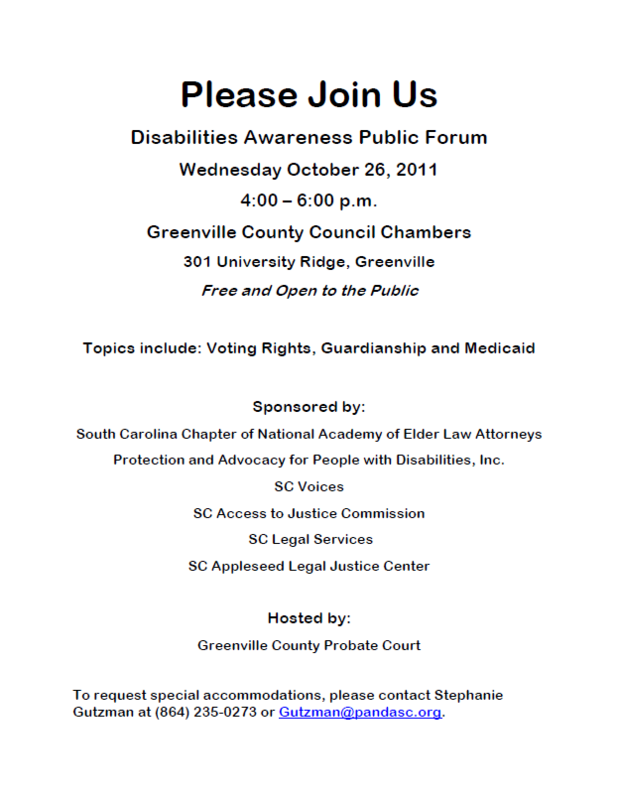 Tomorrow as part of Celebrate Pro Bono 2011, several attorneys will be speaking at a Disabilities Awareness Public Forum in Greenville, South Carolina. The event is FREE and open to the public. 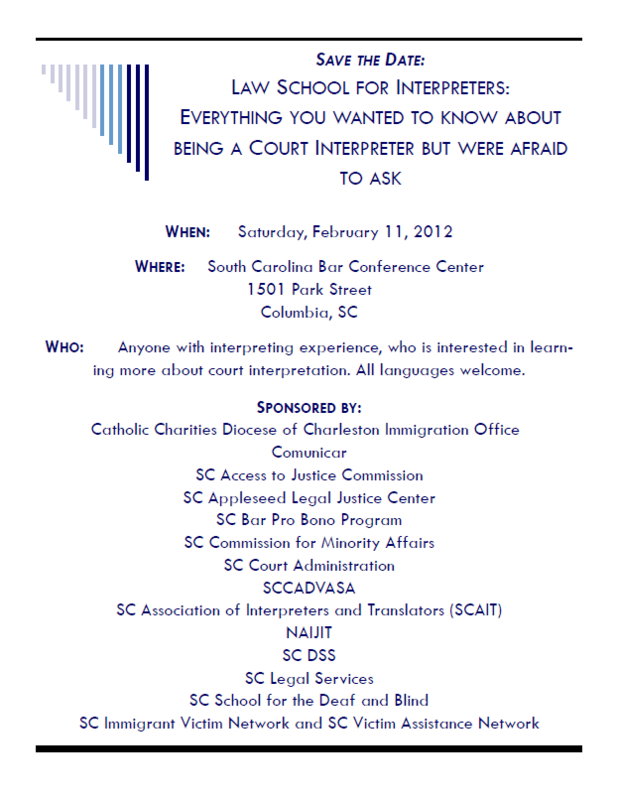 We do have ASL Interpreters available for the event, but if you need additional accomodations, please contact Stephanie Gutzman at 864-235-0273 or by email at gutzman@pandasc.org.